The LG G2 is available from plenty of carriers in the US right now, but Verizon customers have an opportunity to save some cash on LG's latest and greatest. The G2 is down to $149.99 through Wirefly, and you get an even better deal if you're porting in a number with a free $30 Visa gift card. 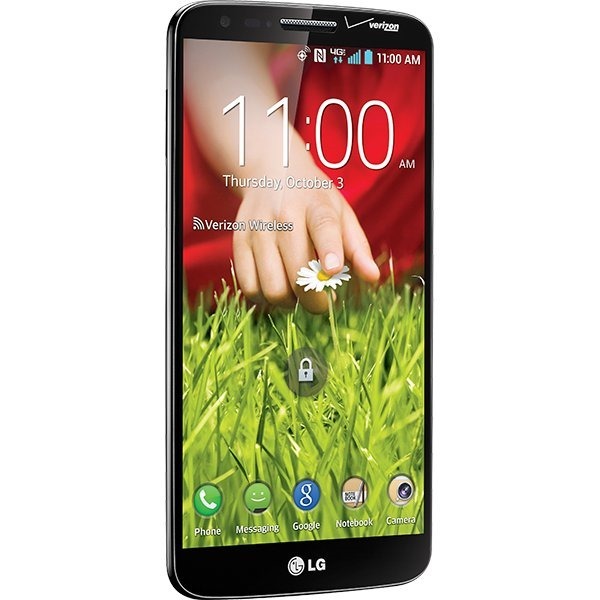 The LG G2 is packing a Qualcomm Snapdragon 800 processor, 2GB of RAM, and a super-thin 1920x1080 LCD screen. 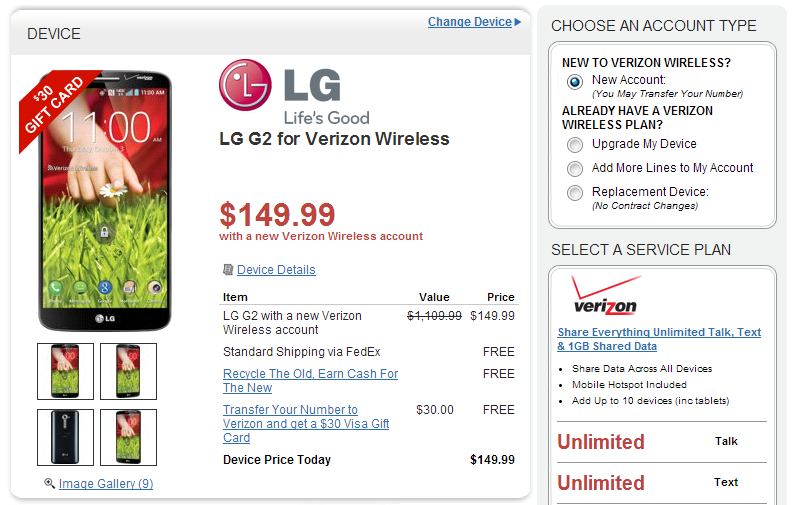 Verizon got the chance to tweak the design of its G2, but it still has that odd rear button setup. The Wirefly deal is open to all upgrades and new lines, but only those porting a number in from another carrier get the Visa card. Keep in mind Amazon is offering the same $149.99 deal, but without the gift card bonus. Either way, you're saving compared to Verizon's $199 price tag.